Welcome home to The Canoe Club, a Master-Planned Community with two freshwater lakes that serve as the community’s centerpiece. Enjoy amenities which include 24hour Fitness Center, junior Olympic swimming pool, Event Lawn, four lighted tennis courts, lakeside wharf dock, and canoe storage. The Canoe Club---a great place to call home! 4.5 miles. Turn left on Huiet Dr. and travel approximately 1/2 mile to the entrance of The Canoe Club. Follow signs to the Lake Cottage and Sales Center. From Peachtree City: Follow GA Hwy 54 East approximately 5 miles. Turn right on Huiet Dr. and travel approximately 1/2 mile to the entrance of The Canoe Club. Follow signs to the Lake Cottage and Sales Center. 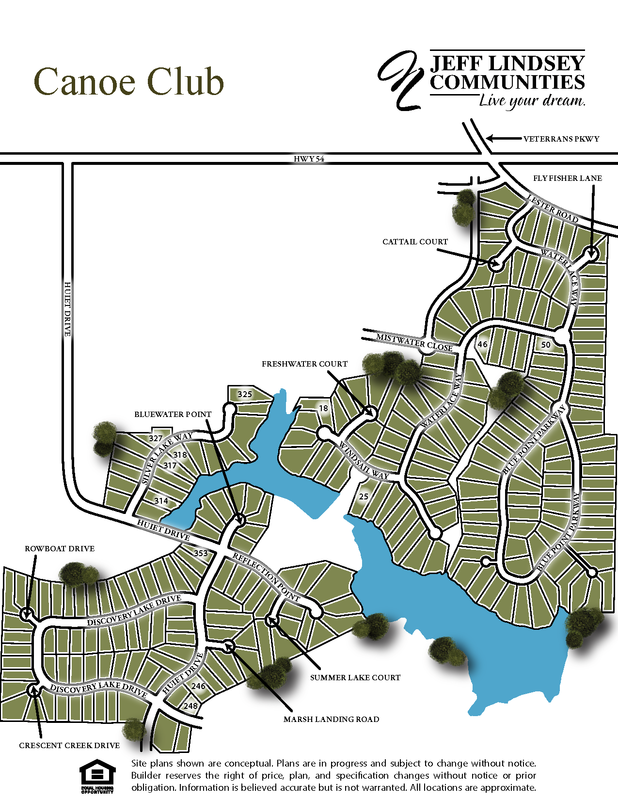 Contact us for updates on Canoe Club homes when available.